Forests are essential for the transition to the green economy. Well managed planted forests are a vital element in the global forestry mix. Planted forests can be environmentally sound sources of renewable energy and industrial raw material. Planted Forests can be well managed. 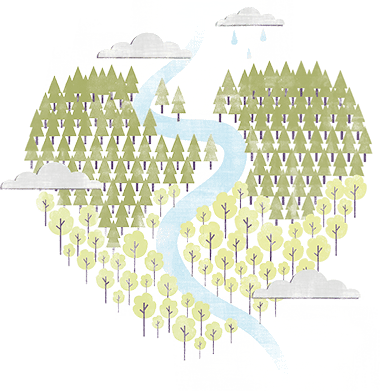 Initiatives such as the FAO Guidelines for Responsible Forest Management of Planted Forests and forest certification can help maintain ecosystems and biodiversity, protect High Conservation Values, involve multiple stakeholders and aid economic development. Worldwide re-forestation will require expansion of a range of plantation types. ¹FAO, 2015. Global Forest Resources Assessment 2015, How are the World’s Forests Changing?